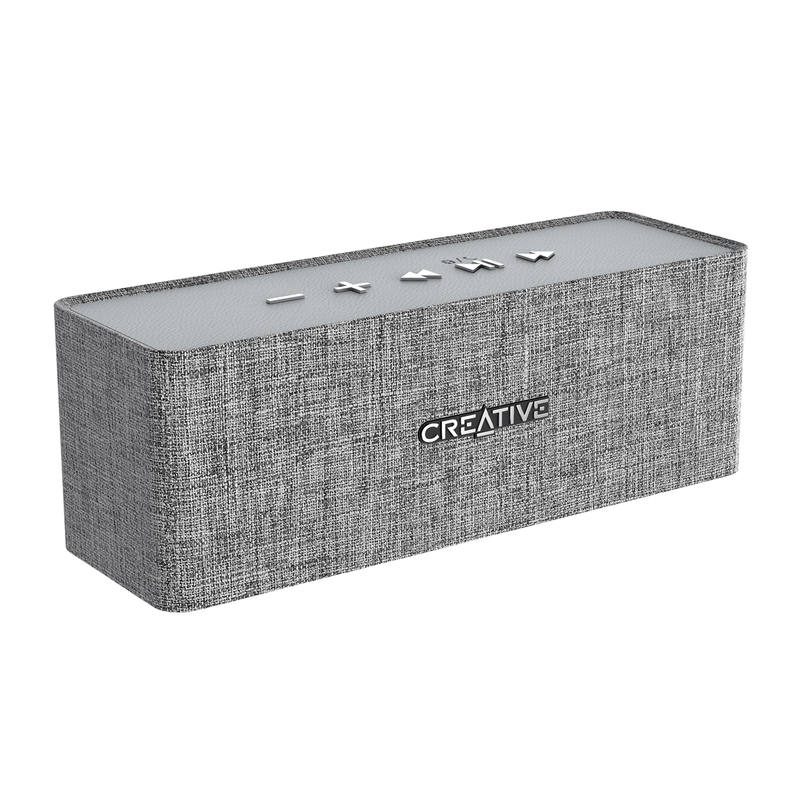 Creative is one of the leading brands when it comes to making good quality audio devices. 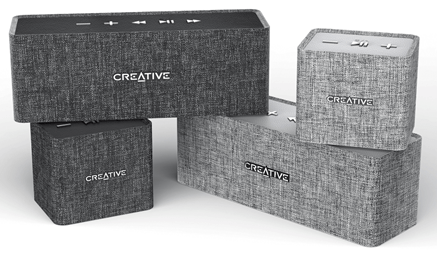 They have announced two new speakers called the Creative Nuno and the Nuno Micro. These speakers focus on the design aesthetics and are wrapped with sheaths of Woven Fabric. Normally the portable speakers out there are mostly made of plastic casing which kind of looks cheap. If you actually go ahead and put the speakers in your living room, you can identify the plastic sound box. But these new speakers will blend into the room and give it a more classic feel. The word Nuno is basically a Japanese word that means ‘Woven cloth’. So these speakers are wrapped up with this woven cloth on the outside. They look like a piece of art and have a handmade touch because of the woven cloth. With the cloth on, the speakers still manage to look simple and clean. There are some physical control buttons present on the speaker to control the audio flow. The Creative Nuno is the bigger one, weighing 390 g having dimensions 185 x 60 x 63 mm. It is available in two colors Heather Gray and Black. Connectivity options include Bluetooth 2.1 + EDR and 3.5 mm AUX input. The benefit of Bluetooth 2.1 + EDR(Enhanced Data Rate) includes faster music streaming, extended battery life, multiple device support and better security. The battery life of the speaker is 6 hrs on Full charge and it has micro USB port for charging. There are 2 full range sound drivers. The Creative Nuno Micro is actually a very compact speaker that can fit in your palm. It weighs only 180 g and the dimensions are 75 x 60 x 63 mm. The color options available here are the same Heather Gray and Black. The connectivity options are also same Bluetooth 2.1 + EDR and 3.5 mm AUX input. The battery life here is 4 hours which is 2 hours lesser than Nuno but so is the size and cost. You can charge it via the micro USB port. It has 1 full range driver. Yes, you can also use the Nuno Micro as speakerphone along with audio streaming. The cost of Creative Nuno is Rs. 4,999 and for the Nuno Micro it is Rs. 2,999. 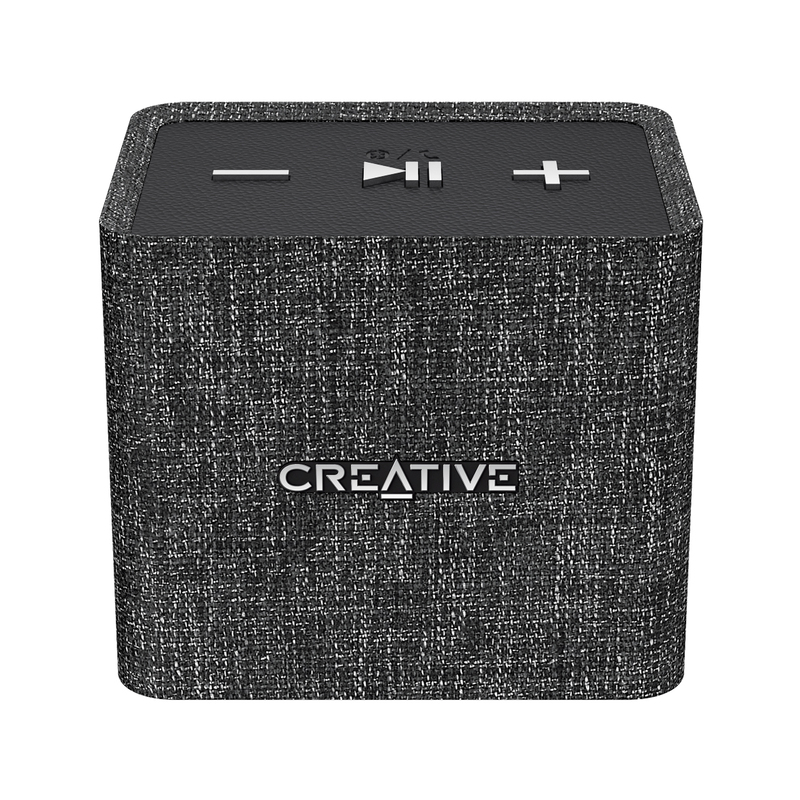 Yes, the cost is higher than the normal speakers you get in the market but that is something you need to pay for the premium woven cloth design. We can tell you more about the audio quality once we get our hands on the Nuno Series. Till then if you have any questions related to this, then drop them in the comments sections below.